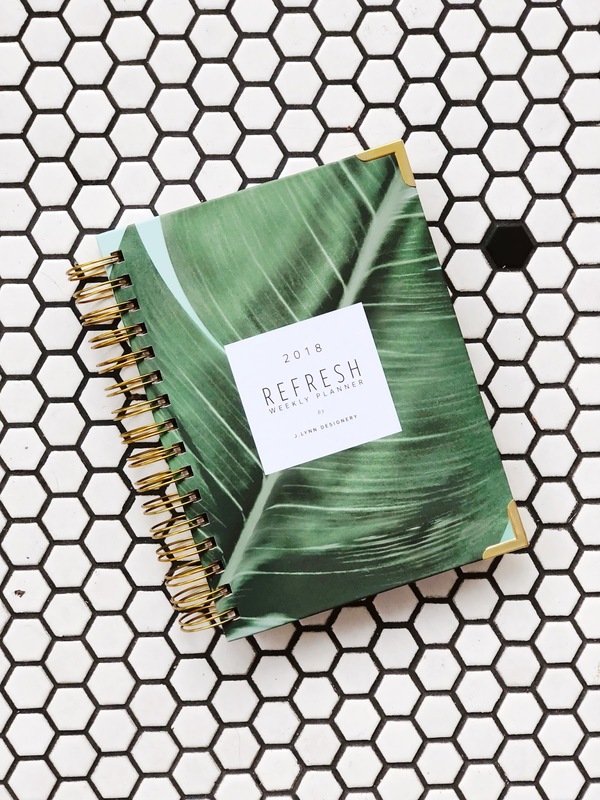 I have to admit I'm a sucker for aesthetics and the look of the 2018 Refresh Weekly Planner was what first caught my attention. 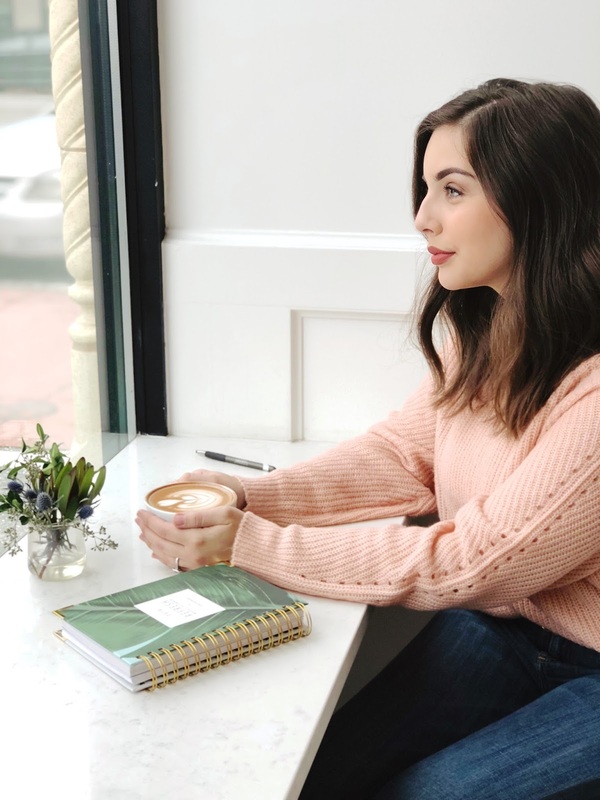 Jenna, the lovely lady behind J.Lynn Designery, designed her latest planners with a focus on textures and elements that would be found in the home. She also stayed focused on maintaining a minimalist design which I think is ideal in organization. 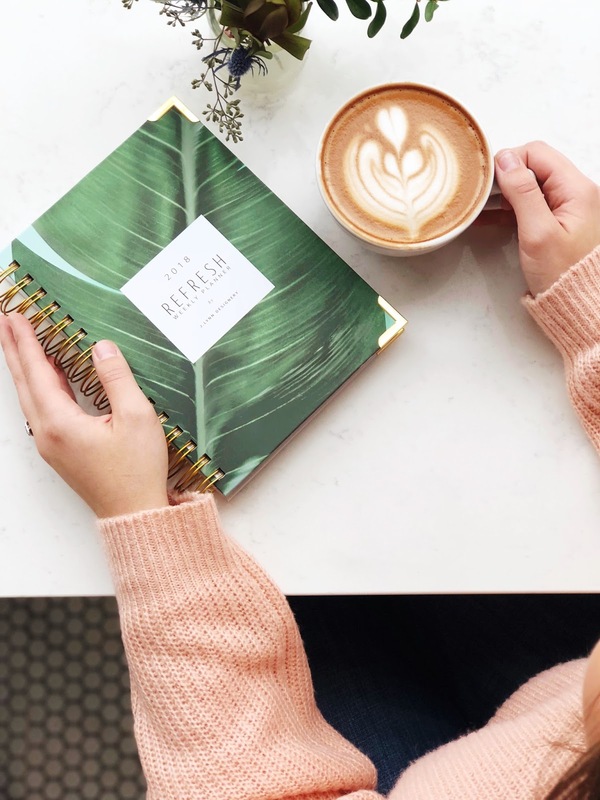 I love that this planner is just as beautiful on a desk as it is in your purse or on your coffee table - it really suits any space! From a practical standpoint, the gold spiral binding and covers are quite sturdy but by no means bulky. The gold plated corners add elegance while also serve a very useful purpose - preventing the corners of your planner from a year's worth of some rough and tumble organization! Now lets talk about the fundamentals of any great planner: the innards (or more elegantly the "organizational elements"). Starting from the front, the first thing I noticed was a handy pocket on the inside cover! It doesn't take up much space nor does it make the planner bulky, but it does serve as a perfect little spot for mail, movie tickets, and other paper memories. What better way to start 2018 than a little goal planning sesh? As someone who struggles a bit with goal setting, I was so excited to see that this was the very first topic in the 2018 Refresh Weekly Planner. This section is really more of an exercise in goal planning with actionable steps, words of encouragement, and a beautiful layout. I loved the tone of this section - it had me incredibly motivated to start mapping out my 2018 goals right then and there! Don't you hate it when you have a brand new, beautiful planner and have to wait till the new year to start using it? Well no more waiting for you - the 2018 Refresh Weekly Planner includes the tail end of 2017 from November 27 through December 31! I love that I can get a jump-start on 2018 even if it's just from a planner perspective. The planner runs through December 2018 so don't you worry, you have a full year of fun and motivation in store! Each month has its own tab so you can quickly flip from month to month. When you flip to a month tab, the first thing you see is a lined section titled "Important Things This Month." After that there is a two page monthly spread with holiday information included and a little notes section. 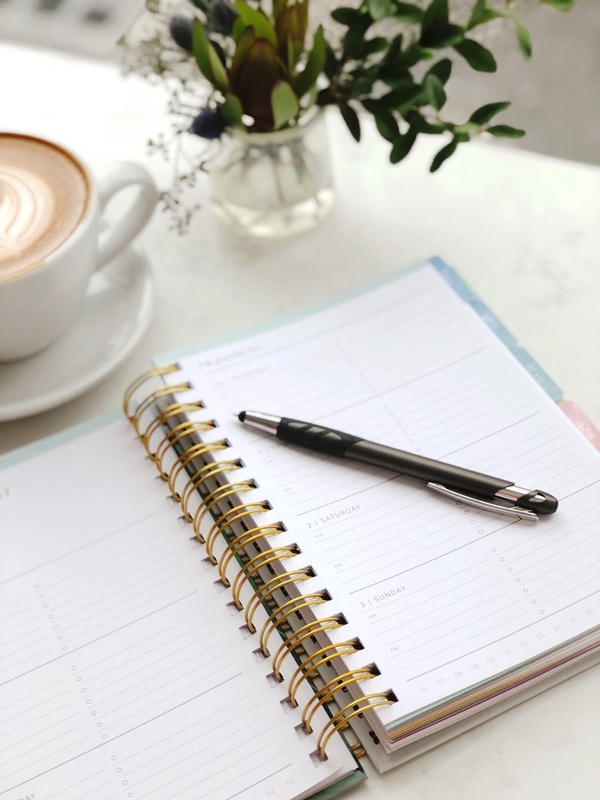 From there, you then get into the weekly planner sections where each day is broken down into an AM/PM section as well as a bulleted list section - so handy! Something I really love about the weekly view sections are the fill-in-the blank areas with the prompts: "This week I'm focusing on _____" and "I'm grateful for _____." 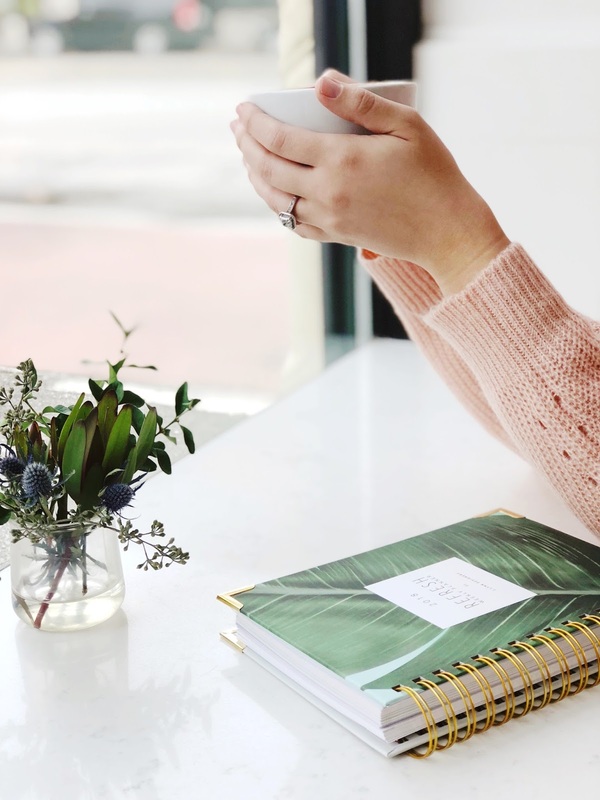 These details call back to the goal planning section completed at the beginning and serve as a great way to maintain perspective, even with all the other tasks and responsibilities that are a part of everyday life. At the end of each monthly section is a lined page which is perfect for Target lists, doodles, or maybe even a yummy recipe. 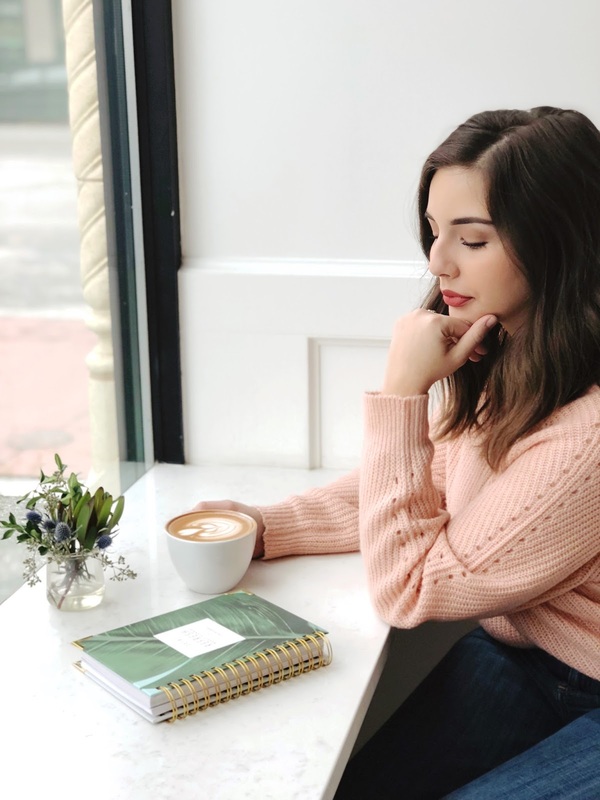 The end of the planner also has a bunch of lined pages perfect for dream journaling or getting started on that novel you've been wanting to write. The possibilities of lined pages are endless! This is the perfect gift for your fave gal pal and has so many fabulous options to pick from! I absolutely love this list pad and think any Kansas Citian would swoon over it too! 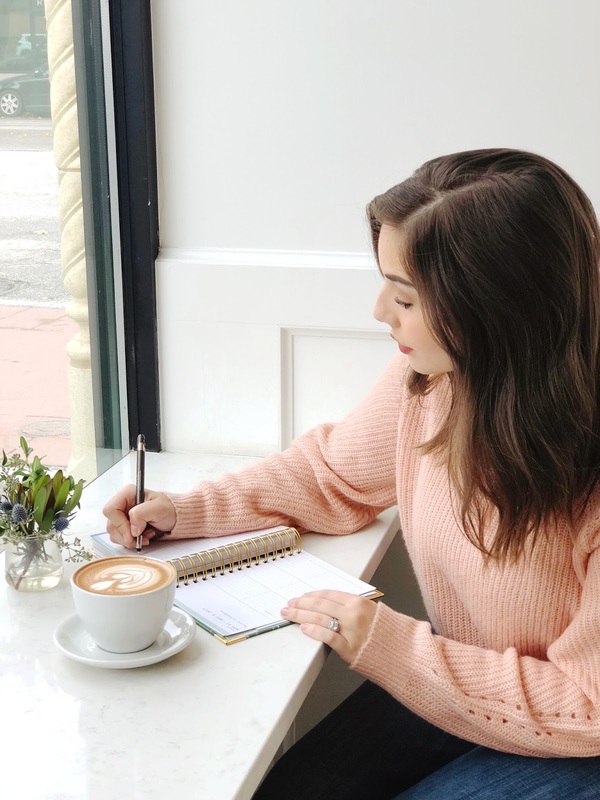 If you're like me, you need a notebook for lists, doodles, and love notes. 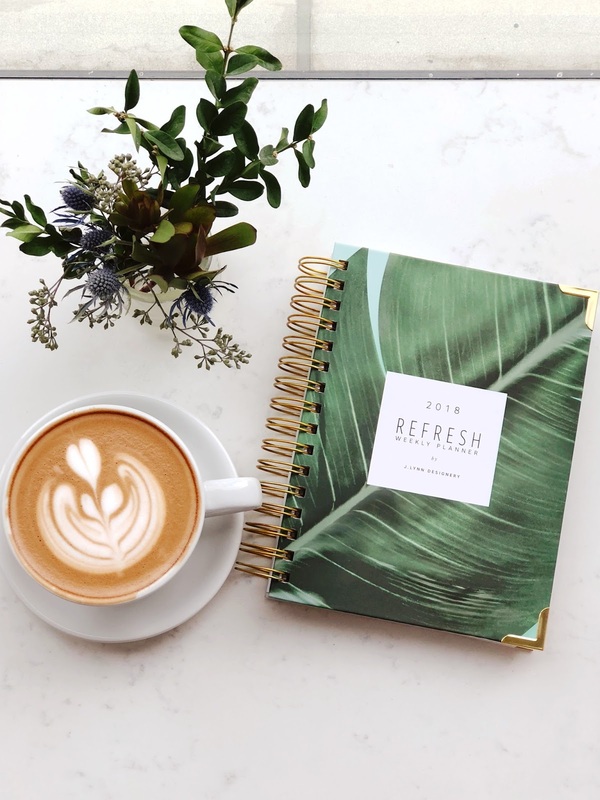 This notebook kicks it up a notch with marble and gold details as well as clear plastic covers so you can toss it in your purse and go! 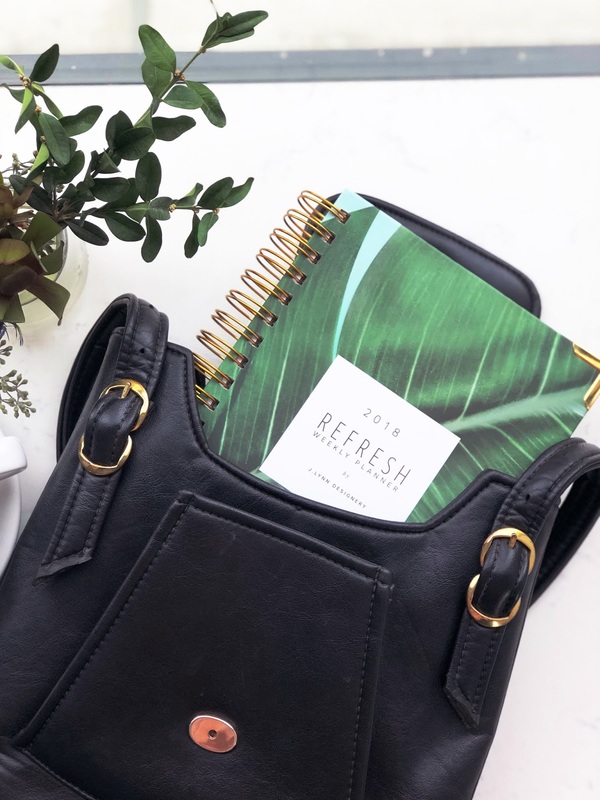 The absolute perfect accessory for any workspace or planner, these little gems keep you motivated and note-ready! No code is required for the free shipping or the free gift so get to shopping and score some awesome deals - you'll be so thankful you did! Happy Thanksgiving week everyone! I hope you all have safe travels and get to eat lots and lots of pie. I'd love to hear about your holiday plans so post below in the comments what fun you have in store for this week! 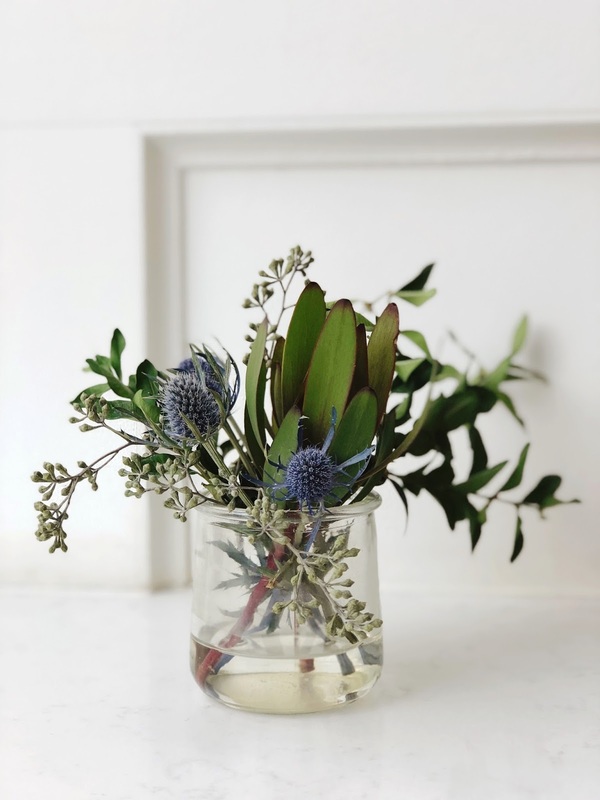 I'm also dying to hear what amazing goodies you all snag from J.Lynn Designery over the next few days - make sure to share and happy shopping!